Scrapebox - Can You REALLY Make Money With Scrapebox? Since there's quite a lot of talk about Scrapebox in the industry lately, I thought it would be beneficial to a lot of people if I were to discuss some cool features it has to offer. 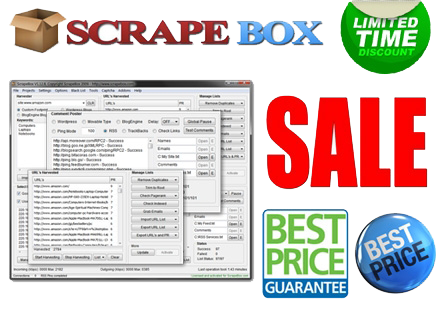 Scrapebox is a great utility and is really a must have if you're doing internet marketing. 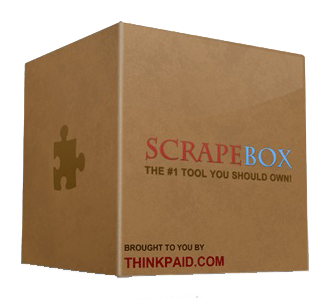 If you buy Scrapebox, it runs for $97, but you can find it at some affiliate sites where you can purchase it for $57; that's a whole $40 off, so it really is worth looking for at other sites. I'm going to tell you right now for $57, Scrapebox is a goldmine! Although it's designed around blogs, you can do so much more than just blogging on it or posting on other blogs. Scrapebox actually creates backlinks. One might ask, Well how does a blogging utility do that? First I'm going to talk about the harvester. It has 4 fields WordPress, Movable Type, Custom Footprint, and BlogEngine. Let's say you're looking for blogs about cameras, so you type that in the keyword box and if you hit the Scrape button, it'll actually find you more keywords that are related to cameras. You can build tremendous keyword lists with Scrapebox and you don't have to be that creative for this thing, it does it all for you. Scrapebox actually auto updates itself, which is always nice. Now I'm going to get into another great aspect of Scrapebox its proxy tool. For those of you that don't know, a proxy acts like a middle man. Using the example above, basically in order to find all these blogs about cameras, it has to go out to Google, Yahoo, or whatever search engine you have it appointed to and it has to hammer it into their data base to give you all the blogs that have that keyword in it. Obviously these search engines don't like that, so they block your IP address. If you don't do this without a proxy, you'll probably be able to get around 50 before you get blocked and once they block you, you'll be blocked for quite some time. Using Scrapebox's proxy, you'll make sure that you're nice and safe for your IP address to not get blocked from Google. You actually get to self-manage all of your proxy sources right in Scrapebox and it's all included in the price you paid for this amazing utility. The only problem with these free proxies is that they come and go like the wind; they're up and then down, Google is always blocking them since everyone is spamming them. What Scrapebox does is by default it'll go through one proxy for every post, so if you have 100 proxies, it works through all 100 and then it'll go back to the top of the list and start going again. This spaces things out for you as well, so Google isn't seeing the same IP address over and over again. Above I only mentioned and went into slight detail about a couple tools and aspects of Scrapebox, but these I find are the most helpful for my business. It really is a great product, especially if you're ready to take your internet marketing career to the next level. Scrapebox can take your business to new heights and if you really take the time to experiment and learn how to use it effectively, it can bring you in a lot of extra income. DON'T MISS OUT: Find Out How I Make A Full-Time Income Online, More Importantly, Learn How YOU Can Too! Last edited on 15th Feb 2017 at 11:47 AM. Re: Scrapebox - Can You REALLY Make Money With Scrapebox? Everyone talks about how SEO is a great way to generate FREE traffic, but a lot of people, especially newbies don't realize how hard it is to rank for competitive keywords on search engines like Google, Yahoo, etc. I always get asked what kind of tools I use for local SEO or really just SEO in general. I have a couple favorite tools that I use every day, but one that always makes the list and always has for several years is Scrapebox. A lot of times I say I use Scrapebox for my local SEO, people's immediate reaction is, “Oh no, I don't want to do any spamming or spam blog comments and backlinks.” People think like this because they don't want to get their site penalized or hurt their rankings and do any permanent damage to their website, but I can tell you right now this is not the case. By the majority of the reactions I get from people just tells me that a lot of people don't understand everything Scrapebox can do, so I decided it would be a good idea for me to talk about some of the great features it offers. People are usually initially underwhelmed when they first open up the interface of Scrapebox because they hear so many great features and reviews on it, but when they see the interface it doesn't have all the bells and whistles on it like a lot of the other tools on the market. It's really basic and simple with no fancy graphics, but sometimes simpler is better and that is the case for this situation. At a first look, Scrapebox looks like a basic tool, but under its simple looking interface, it's an extremely powerful tool if utilized effectively. A lot of people are aware of its blogging features and how it allows you to comment on certain blogs like you would never have imagined. Don't get me wrong, this is a great feature and Scrapebox is known for this particular element, but in my personal opinion it's the least useful compared to all the other features it has to offer. What a lot of people don't see is that Scrapebox's scraping feature is probably its most useful feature. It allows you to “scrape” data from Google, Yahoo or any other search engine you assign, based on the footprints you set it to look at. You can actually narrow or broaden your keyword search to whatever levels you want with the footprints you set it at. When you finish your “scraping” Scrapebox gives you a list of URLs and you can choose to refine the data by number of outgoing links, page ranks, if the site permits comments from visitors, and a whole bunch of other factors. For example you can get it to check the page rank of every single URL that comes up and then choose to sort out the low PR pages. I briefly went over some of the great features Scrapebox has to offer and trust me there is a lot more to this tool; I just went over some useful components of it that I use every day. If you really want to take your internet marketing career to new heights I highly recommend you getting Scrapebox. It'll do you and your business wonders and you'll ask yourself why you didn't discover it sooner. A lot of people have been raving about Scrapebox and there is just so much hype about it that I thought it was a good idea to write about. For you that don't know, Scrapebox is an internet marketing tool mostly known for its blogging features. What a lot of people don't know about Scrapebox is that it really is a great tool for online businesses in general. I use it a lot for local SEO and a lot of people ask me how I do this, so today I'm going to get into that a bit. If you've been doing local SEO, you probably already know that one of the most, if not the most important ranking factor is citations. Of course backlinks are important, but for local SEO it's all about collecting citations. If you're not familiar with citations, it basically consists of a NAP – Name, Address, and Phone number of a business. When these three elements appear together that makes up a NAP, which makes up a citation – a signal to search engines that this website should rank for local search terms that are relevant to its line of work. Some examples of where you can find NAPs are Facebook, Brown Book, Yelp, Localeze, etc. If you're doing some SEO for your community you probably know of some local sources where you can get NAPS within your area, but if you're doing work for a client in another region it's highly unlikely that you'll know where to find some local directories for this data and this is where Scrapebox fits in. Scrapebox actually allows you to find some of these local community pages that have a lot of authorities and have great NAP sources that you might not be aware of. With a simple footprint you can do this with Scrapebox. When you pull up its interface, make sure the option is selected to “Custom Footprint” then paste the addresses of these local businesses (you can find this on Google search) in quotes in the keyword search area. When you're using Scrapebox make sure you check “Use Proxies” before you press the “Start Harvesting” button. 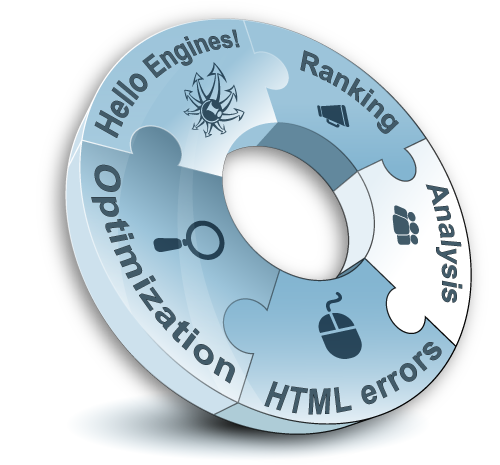 You'll then be provided with a result list of URLs with your keyword search. The list of URLs Scrapebox finds include citations of the business you searched for. You're going to want to go through this list one by one to see if you can duplicate these citations for your client. 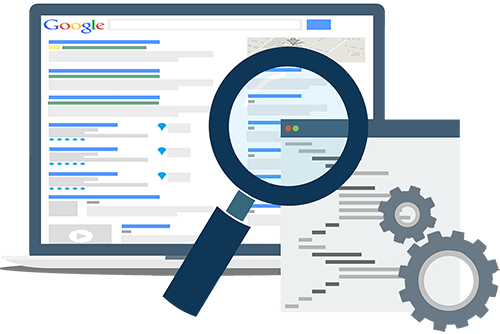 By doing this you can outrank competition so that the particular site will more likely show up higher in search results in Google. You now know how to use Scrapebox to help you out with local SEO, but there are a lot of other features it has to offer. 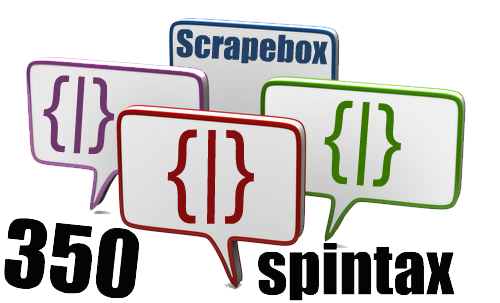 As I mentioned in my introduction, Scrapebox is known for what it can do with blogging. This is just another element it offers and what I'm really trying to get at is there is so much you can do with this tool. In my personal opinion, I think it's essential to have in order to be successful with internet marketing. If you haven't already, buy Scrapebox today to really unleash your business's potential. Scrapebox is a harvester, so I use it to harvest URL's related to my keywords then filter those by PR and manually review the top 20 or so (or how ever many you want). You can quickly find some great URL's using Scrapebox. I haven't really utilized the auto-posting portion of it though. It can also find a ton of related keywords fast. Go check out Youtube for tutorials, there are a ton of them out there. ScrapeBox is still good for harvesting the list. But not good for link building. Because most bloggers of the "big blogs" manually moderate comments. The ability to generate a freakish amount of keywords is one of my favorite features. Plugging in 500+ keywords from the Google Keyword tool into the Scrapebox keyword scraper and going 4 levels deep can give you a TON of keywords. Scrapebox is still working, however you need to be aware, of where do you post and from which IP address. If you do it carefully it could not harm your website in my opinion. ScrapeBox works great, you do NOT need any other related tool. Almost all tools I encountered in the past were either focused at generating spam and boosting ranks in a quick and nasty way. Scrapebox is still one of my core tools nowadays, once you learn what to do with it, you'll be hooked forever. I used to spam with it, but now I use it for keyword scraping, prospecting clients, finding authority sites in specific niches, basic data-mining and a lot of other stuff. My advice would be to go for Scrapebox. This software would cost $1K and I would still recommend it.